Harold Brewster was born about 1895, and lived in Merton, Surrey, working as a surveyor’s assistant. A member of the Church of England, he claimed conscientious objection on Christian grounds, but the Wimbledon Military Service Tribunal, on 11 March 1916, allowed him only exemption from combatant service, meaning that he would be called up to the Non-Combatant Corps (NCC), guaranteed not to use or even handle weapons, but nevertheless part of the Army. Appeal to the Surrey County Tribunal made no difference, so Harold ignored the call-up notice, leading to arrest by the civil police. Brought before the Wimbledon Magistrates’ Court on 20 April 1916, he was fined £2, and handed over to the military. He was taken to the depot of 2 Eastern Company, NCC, Kingston-on-Thames, where he disobeyed orders, such as to put on a uniform, and whilst awaiting a hearing of such military offences he was transported via Harwich and Felixstowe to France over the night of 8 May 1916. At Le Havre he was court-martialled, receiving 28 days Field Punishment No 1, detained in Field Punishment barracks, and continuing to disobey orders. This led to a second court-martial at Boulogne on 10 June 1916, when he was sentenced to death by firing squad, sentence confirmed by General Sir Douglas Haig, but, after a pause, commuted to ten years penal servitude. 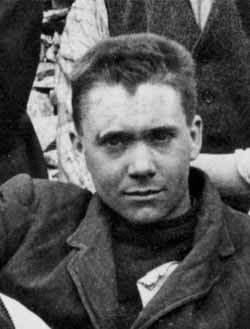 Harold was returned to Britain, and admitted to Winchester Prison on 30 June 1916. In August he was transferred briefly to Wormwood Scrubs Prison, London, for appearance before the Central Tribunal on 14 August, where he was found to be a “genuine” CO after all, and was offered admission to the Home Office Scheme, which he accepted. He was discharged from Winchester Prison on 31 August 1916 to Dyce Work Camp, a stone quarry on the outskirts of Aberdeen. He appears in the famous group photo of ‘Frenchmen’ (COs sentenced to death in France) at Dyce. When the Dyce camp was closed in October 1916, after the scandal of the death of CO Walter Roberts, Harold was sent in turn to a succession of Work Centres and Work Camps: Warwick, Princetown (Dartmoor), Brockenhurst, Wakefield and Knutsford. He was discharged in April 1919, when the Home Office Scheme was wound up and all the Work Centres and Work Camps closed.